This was one of the first mugs from BT collection added to the site, yet it was still a preview. The actual release only happened today, and as you can guess, the delay was also caused by a misprint. 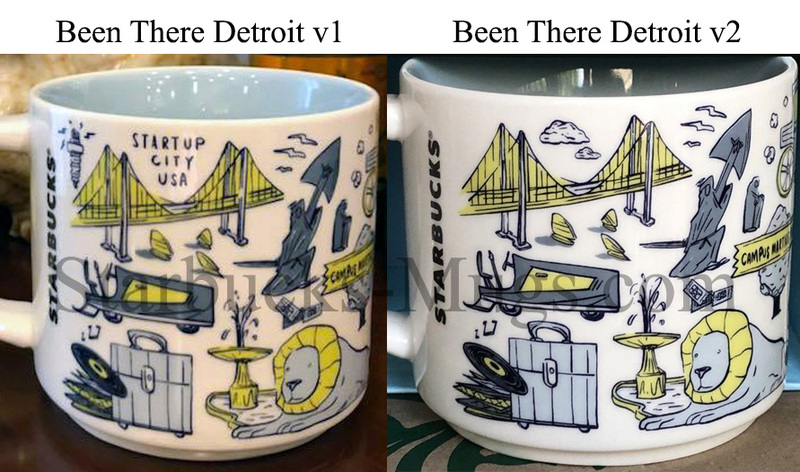 Starbucks Been There Detroit v2 is missing “Startup city USA” “nickname” above Ambassador Bridge (which was replaced by two clouds). 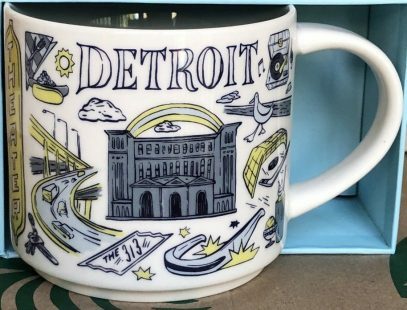 I, sincerely, tried to research where is that “nickname” coming from and can only assume it was supposed to represent the new era of entrepreneurship of Detroit. Again, Starbucks decided to remove it. What do you guys think about it? Leave a comment below!